Time to blow out the cobwebs as we enter the first throes of Spring, shaking off the dust of winter hibernation and planting new seeds for the year ahead. March was originally considered the first month of the year by the Romans and so is a great time to learn something new and make time for you! With this in mind, we’re throwing up new shoots here at Surrey Art School with our blog and newsletter. There are exciting things being added to our changing seasonal menu of workshops and classes, so we’re bringing you a little dish of hors d’oeuvres every now and then. You can keep trying new tasters, or maybe you’re ready for the main course of Improver’s sessions: whichever you’re hungry for, there’s always a seat at our table for you. If you’re headed to a Mother’s Day lunch or brunch this month, why not bring your special mother figure a thoughtful surprise: some time for them, tucked in an envelope. Whether they are friend or family, you can book your mama onto one of our upcoming workshops, or give them a voucher so they can pick their own favourite. Looking ahead to April and May, we’ve got Calligraphy, Casting, Ceramics and Paper Marbling on offer and we’ve a little room on the popular Learn to Weave workshop too! Perhaps you would like to make something for the mum you love. Perhaps she doesn’t get many handmade gifts anymore and now all those presents brought home from school art classes are treasured memories. 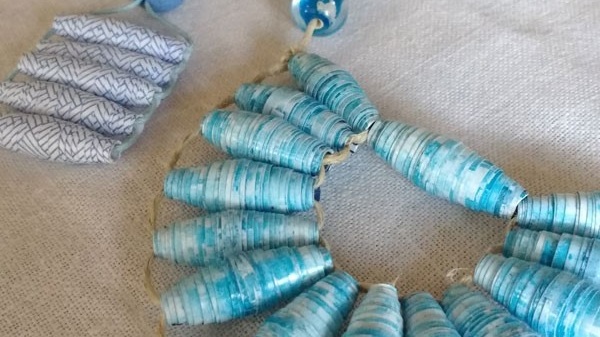 You could nab one of the last spots on Ginny Farqhuar’s Paper Bead Jewellery workshop to make a heartfelt adornment that is gentle on the earth but strong on style. Who would know those exquisite beads are made from office envelopes! Our special Mother’s Day Yoga + Art Retreat is now sold out, but that doesn’t stop you sharing our Rise and Shine Spring Retreat with your Earth Mother! Booking is available soon, but you can grab a voucher now and reserve a space - so click quickly to energise for the warm weather ahead. As you may already know, we are passionate about collaboration and this new season brings news of some fantastic opportunities for working together with other Surrey businesses that we adore. 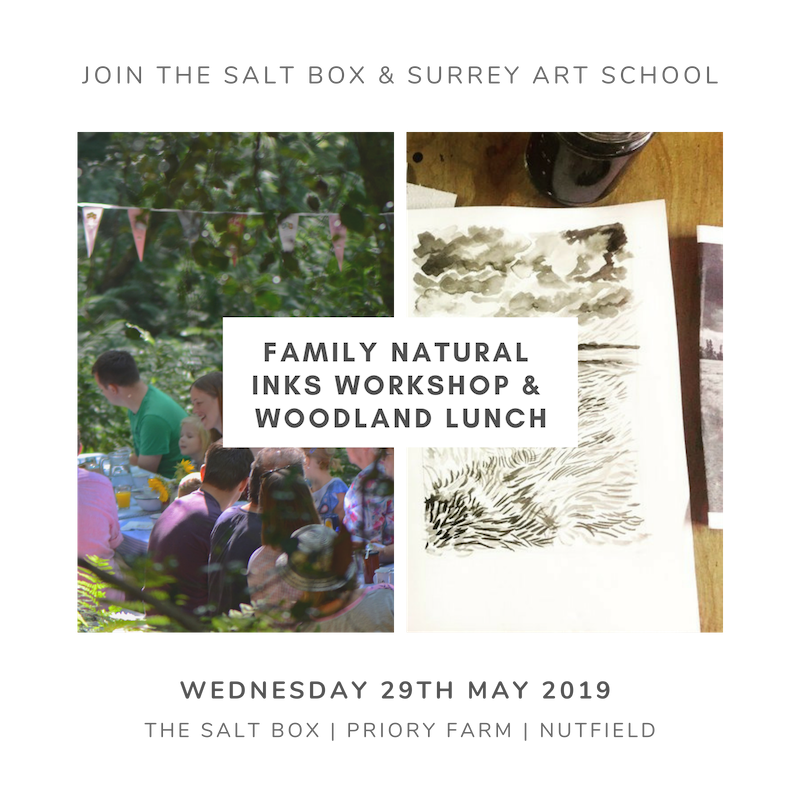 We’re delighted to announce that we’ll be working with the SALT BOX this coming Spring on a series of delightful woodland adventures combining our love of the great outdoors and combining creativity with a love of locally sourced food in a stunning location. What’s not to LOVE? Check out our forth-coming events with THE SALT BOX coming up this May. Booking is already live and spaces, unsurprisingly are flying - so if you’d like to join us in the woods one day, click the pics below to get yourself booked in for a creative feast! And finally, our gift to all the mothers, sisters, dads and brothers reading this: drum-roll please for our Easter Break workshops! We know how much these youth sessions mean to you, keeping your family blooming creatively. Coming up this Easter we’ve got a wide and varied menu of workshops including: Screen-printing, Weaving, Brush Lettering, and Ceramics all available to book for your children or to do together this Spring season! Creativity is such an important vehicle for self-expression, for communication and for self- awareness. As your young artists find their place in the modern world, they're going to need some tools to help them decipher it. We hope to see you soon, and wish you a happy Spring Equinox on the 20th March. We won’t share your data with anyone else, and our practices are GDPR compliant.